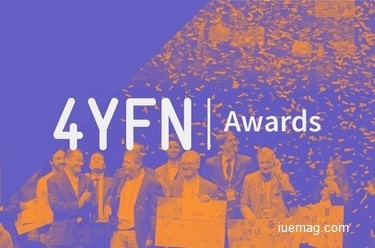 The 4YFN Awards, the mobile startup competition to be held at 4 Years From Now (4YFN) from 22 to 25 February, has closed its registration process, having secured the participation of about 600 startups. The organisation received a total of 573 entries from 52 countries on five continents. Like every year, the 4YFN Awards 2016 consist of three competitions coinciding with 4YFN’s three thematic pillars: Disrupted by Mobile (22 February), the Internet of Things (23 February) and Digital Media (24 February). The 24 finalists – 8 for each of the categories – were selected by a panel of experts in the fields of Entrepreneurship, Innovation and Finance, and by the co-founder of F6s and Tech.eu, Jon Bradford, the Awards’ new MC. This year the fields of Advertising and Communications prevail, accounting for the largest number of startups, followed by Finance and Health. Other prominent sectors will be ICT and Telecommunications. The 4YFN Awards will also stand out once again for the presence of international startups in each of the contest’s different categories. The most represented countries are Spain, the UK, Germany, the USA, France and Israel. As in previous years, Barcelona remains the city presenting the most projects, followed by London, Madrid, Berlin, Paris and Tel Aviv. Disrupted by Mobile, the first 4YFN Awards 2016 competition, will have 8 finalists that will present new tools for traditional industry in response to the emergence of mobile technologies in their business environments. OffLA: a mobile device payment fraud detection service. What3Words: a platform that provides a new, universal address system based on a global 3 m x 3 m grid. Fruit Bull: an application that reports fruit and vegetable retail prices in real time. Aimed at producers, distributors and superstores. Numbercon: a platform that connects network users based on their mobile phone numbers and offers them free telecommunications (voice, video and chat) services through the network. Thing Thing: a virtual keyboard for mobiles that furnishes access to photos, documents, calendars, etc., while chatting or writing an email. Jack 45: an application that allows one to send messages that can only be read when the sender decides. Authenteq: a platform that verifies the identity of buyers and sellers in online marketplaces. Agroptima: an agricultural management and analysis platform, with data analysis linked to the IoT. Comfy Light: a bulb to protect one’s home. It “learns” when residents usually turn their lights off and on, and replicates the same patterns when they are away. 14: a system that combines hardware and paper to create interactive paper toys controlled via an application. Natural Machines: a 3D food printer that promotes healthy eating. Wearable Life Science GmbH- Antelope: athletic clothing that improves muscle performance through an electrostimulation system. Stock it: infrastructure that allows anyone to rent, sell or share objects without intermediaries. Cleen Been: technology to eradicate MRSA infections in hospitals. Brain Gaze: tracking solutions that predict and determine personal behaviour for clinical and commercial applications. Hi Park: a platform that displays, in real time, free parking spaces on the route the driver has indicated. Pixoneye: technology that analyses the behaviour and preferences of users through pictures and images they post on the Internet. uCiC: an application that allows the user to connect with people all over the world, in real time, to meet their needs or solve their problems. Multidub: a technology that allows users to choose the language in which they wish to enjoy a movie or series, no matter where they might be. Snappers: a tool that allows bloggers, influencers and freelance journalists to remotely cover an event through crowdsourcing, obtaining video in real time. Hutoma: an assistant featuring artificial intelligence for personal or business use. Immyfly: a multimedia entertainment system to be used during air travel. Civocracy: a social network that connects citizens to discuss and make decisions regarding political or social issues. Supenta – Flitchio: a smartphone case that transforms the device into a game console with a built-in controller. 4YFN 2016 will also host the world finals of the Global Mobile Innovators Tournament, organised by 4YFN in collaboration with IBM. This is an international competition that drew participation by a total of 1,200 startups and developers, who aim to promote the development of innovative solutions related to the Internet of Things (IoT). Beacon of Hope: a solution to combat human trafficking. Kaawo: a storytelling platform in which different users can simultaneously write one story, either fictional or real, in news format. BIOlinq: a platform that develops electrochemical sensors that, when applied to the skin, analyse body fluids to provide processable health information. InnerSpace: a mapping and location platform for interior spaces that generates 3D drawings in seconds. Hoome Studio: the first smart home adjustable to the user’s different characteristics. Brainstat Studio: a solution that monitors drivers engaged in all types of transport services. Gruppo Innovare: it creates a safe environment for passengers and drivers in all types of vehicles. Nextome: a geolocation platform for indoor spaces. Think IT Loud: a solution to encourage the use of public transport, decreasing traffic and pollution in cities. Grindbit: a headband that helps to monitor the user’s nocturnal movements and jaw and teeth pressure. CeliWat: a social application for those with celiac disease, with key information on this condition. Harmony in IoT & eHealth: a platform to monitor patients with chronic diseases, such as epilepsy, and for particularly vulnerable patients, such as the elderly and children. Teleker: home controller for healthcare (connected to the TV), remote patient monitoring and ambient assisted living. Cloud Therapy: smart Q&A response system that answers general medicine questions in both Spanish and English. In addition to hosting the Mobile World Congress, MWCapital creates community platforms such as the Mobile World Centre and 4 Years From Now (4YFN), an event connecting startups .